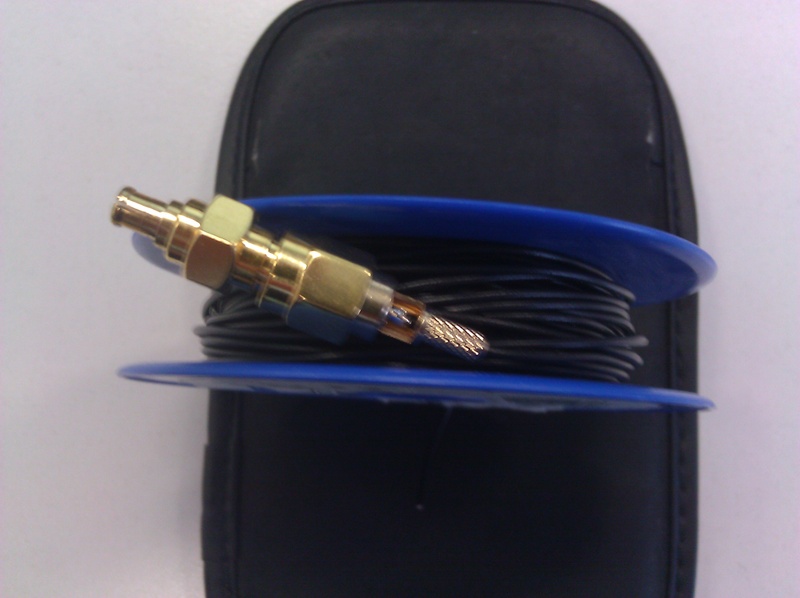 I tried this mod last night after wrapping my own balun. 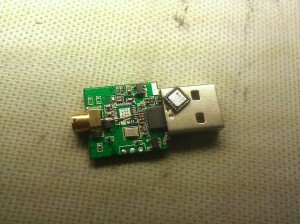 Tried to solder it in place and I toasted 2 dongles, lol. I bumped the wires to the I- & I+ and ripped off the traces. 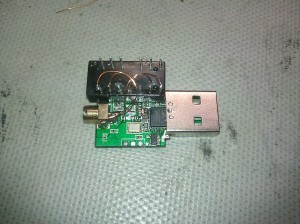 I did manage to get some HF receive tho, with one partially salvaged dongle bridging the I+ to the antenna center pole. 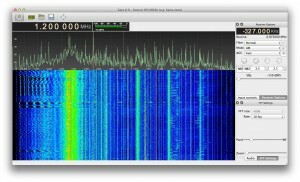 I strung up some split twin lead 25feet in the house and received some faint 3.6MHz LSB. 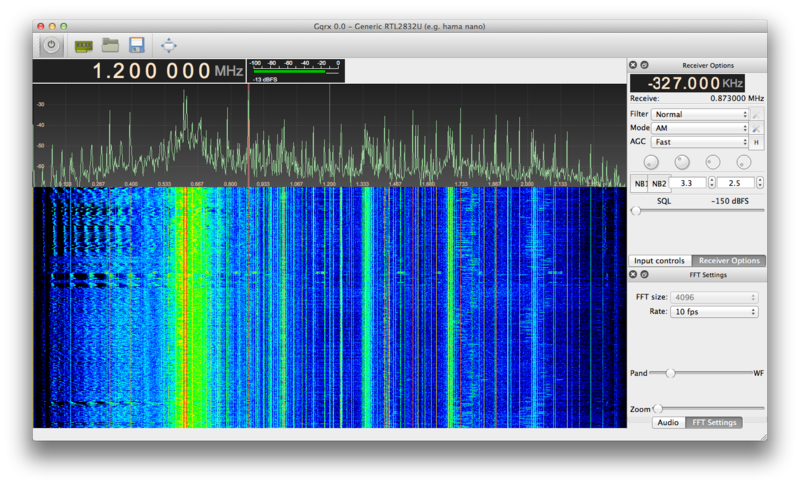 I used your OSX port of gqrx with device string direct_samp=1, not sure if the device string is needed for your port. I didn’t feel confident enough to wrap my own one, I think picking the right core is also quite relevant for the resulting frequency response. Sad to hear about the dead dongles, I guess we can be glad those things are that cheap. 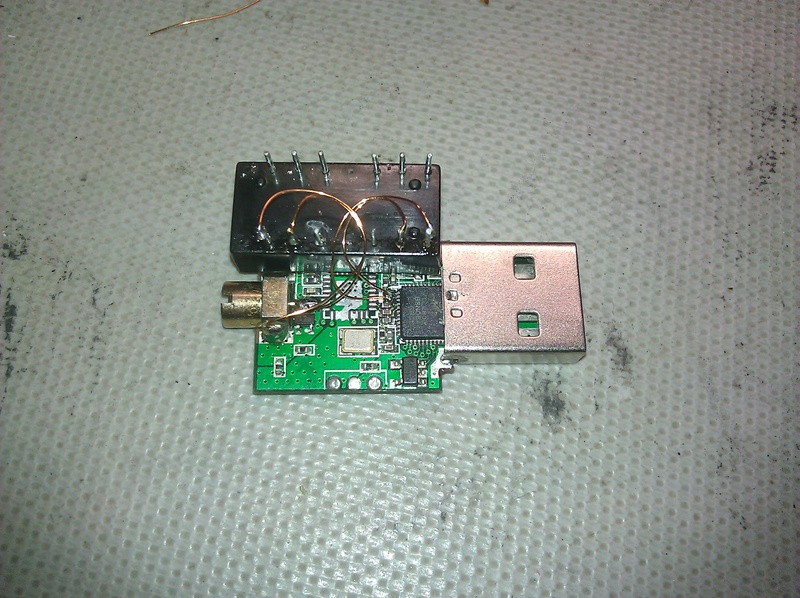 The direct_samp=1 is only needed if you leave the e4000 tuner in place, as you can see my dongle doesn’t have it anymore, thus it always switches into direct sampling mode. a’ha! Thank you! – My good Santa is bringing a Aoyue 968A+ rework station, soon I will pull the E4000 and the R820T in the $10 RTL2832U dongles. Air + solder paste should also make for easier connection to the I+- pins directly (on the 2 dongles with 1 lifted trace). I’m thinking of adding a pin header for the Balun on one of the dongles to allow for quick re-wrappings/experimenting. I also have a 3rd un-modded dongle to play with, not that I really need these things, I also have the SoftRock Ensemble II Receiver (1.7MHz to 3MHz), it just fun to see what can be pulled in with a $10 – $20 dongle. I was wondering which pins you used on your H16105DF. I cant see which way you have the chip oriented and I plan to duplicate your work using a FC-638LS which has nearly identical specs and the same schematics as the transformer you utilized. I’m not even sure if it matters which pins I use but I thought I would ask since it seems to me that you know a lot more about these transformers then I do. Pins 10 and 11 are connected to antenna and ground, while 15 and 16 connect to the ADC. Though turning it around shouldn’t matter, it only affects the common mode choke which isn’t really needed to begin with.